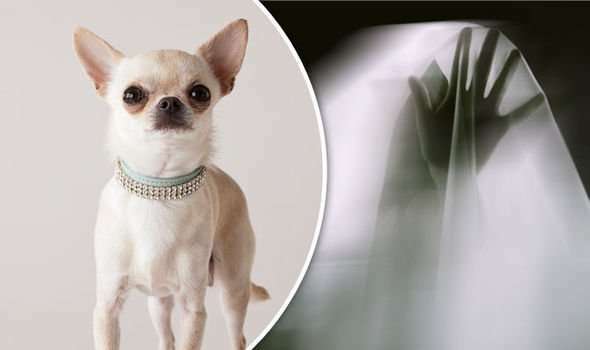 A terrified mother and son have been driven out of their home by a “poltergeist” after being spooked by a series of disturbances. The mother and teenager contacted officers after being left “extremely distressed” by the “violent and unexplained circumstances”, according to insiders. A baffled source said: “These were incidents that were witnessed by our own officers. Incidents that are not easily explained. “But officers with more than 20 years’ service are saying they’ve never seen anything like this. “It really is something that down-to-earth police officers are having trouble getting their heads round. Another insider said: “The officers witnessed the lights going off, clothes flying across the room and the dog sitting on top of the hedge. “The officers called their superiors who also attended thinking the cops were perhaps being a bit silly but it’s being taken very seriously. A Catholic priest has reportedly performed a “blessing” at the South Lanarkshire property. The mother and the son at the centre of the drama have not been named. A spokesman for Police Scotland said: “On 8 and 9 August police attended a house in Rutherglen to reports of a disturbance.